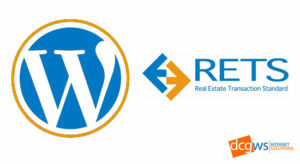 Our RETS connector plugin for WordPress will allow you to display eye-catching real estate listings on your WordPress website. WP-RETS is highly configurable with many standard features, and even more optional features. Set up of the RETSFresh Updater that keeps your current listings updated every 12 hrs, adds new listings when they become available, and removes listings once they are no longer active. NOTE: Recently sold listings are stored in their own table and are also updated twice a day. During setup, you will be asked which property types you would like to display on your site, i.e. Homes, Condos, Land, etc. We will create your own RETS database on your hosting account with the listings ready to be served to your visitors. We will also setup the RETSFresh Updater script to update your listings every 12 hrs, depending on how often you would like to update your listings. We will provide the sample template files for you to copy to your theme folder. Currently, these setup steps are not fully automated. However, we include the most basic setup in our plugin costs. The WP-RETS plugin only costs $299, which includes the software package, RETS database setup, 1 year free updates and 1 year professional support. We also offer additional options such as custom template design, buildings by city, and many more for our competitive hourly rate of $35. We provide you 1 full year of updates and support when you buy this RETS connector plugin. As you can see, the results can be amazing and a game changer for your real estate agency. However, the samples provided above are after many hours of customizations and refining. Individual mileage may vary based on customizations requested. Due to the complexity and advanced features of this plugin, there are a couple of steps required to get started. Fill out and submit this interest form. Within 24 hours, one of our RETS specialists will contact you by Skype or email to discuss any optional features that you might want or need. Send payment via PayPal based on agreed upon amount after assessment with our RETS specialist. Once we receive your payment, our RETS specialist will coordinate with our developers to install, configure and test your WP-RETS powered website. That’s it! It really is that simple to get started display MLS listings on your WordPress website. OR… Simply click on the Buy Now button below.